The first thing anybody looks for when searching for housing is a place that suits his or her tastes and needs. That’s an understandable place to start, but an underrated aspect of the search for a new rental is finding a home with a good landlord. Landlords are more than just someone who takes the rent every month. They’re the caretakers of the property, which is an important consideration for a renter who has visions of staying in one place for a significant period of time. Given the landlord’s role and responsibilities to the property and renter, it’s wise for the renter to give equal consideration to what makes a good landlord, just as a landlord runs a renter through a background check before accepting him or her as a tenant. There are several simple ways for a renter to determine if a landlord is a responsible one without having to search through hours of online reviews. First and foremost, consider how responsive the landlord is when answering an inquiry on a rental listing. 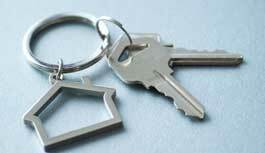 A landlord who returns calls or emails quickly is one who takes his or her job as a landlord seriously. If the landlord is hard to track down when a tenant is ready to pay the rent, think about how difficult that landlord will be to find if the refrigerator stops working. A second consideration is whether the landlord requests applicants for housing to go through a comprehensive screening process. Not having to fill out an application or pay a screening fee might sound like a good deal up front, but having a landlord who doesn’t screen applicants means the neighbors in the unit next door could be some scary people. There are several things to take note of when initially touring the rental unit. First, is the property clean? A bit of leeway can be given if the home is still occupied, but in general a responsible landlord will ensure that the unit is in the best condition possible when showing it. In particular, take care to see that there are working smoke and carbon-monoxide detectors, all doors and windows are operable and have working locks, and the physical structure is sound both outside and inside. All plumbing, heat and water sources should be operable. Turn switches and faucets on and off as you tour the unit to make sure everything works. And lastly, check for visual indicators that could lead to larger undiscovered problems. Water stains and discoloration on surfaces around sinks and windows may lead to future mold issues. Evidence of prior infestation control, such as empty traps, could indicate that the landlord is having difficulties with pests. Visual indicators offer a potential renter the opportunity to ask follow-up questions of the landlord, and to negotiate specific services or repairs as conditions of signing a rental agreement. If everything checks out to the satisfaction of the landlord and renter, the lease signing will offer a final glimpse of the type of landlord a tenant will be renting from. Good paperwork and the correct types of forms are solid indicators of how professional a landlord is and how seriously he or she takes the responsibility.